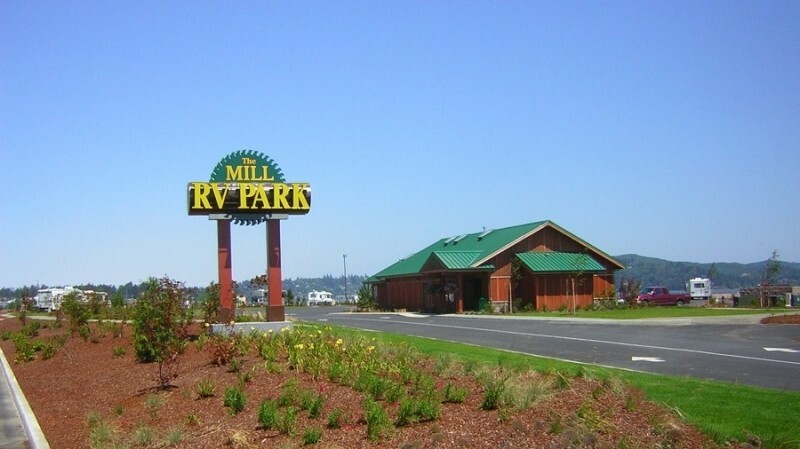 Located in Coos Bay on Hwy-101. 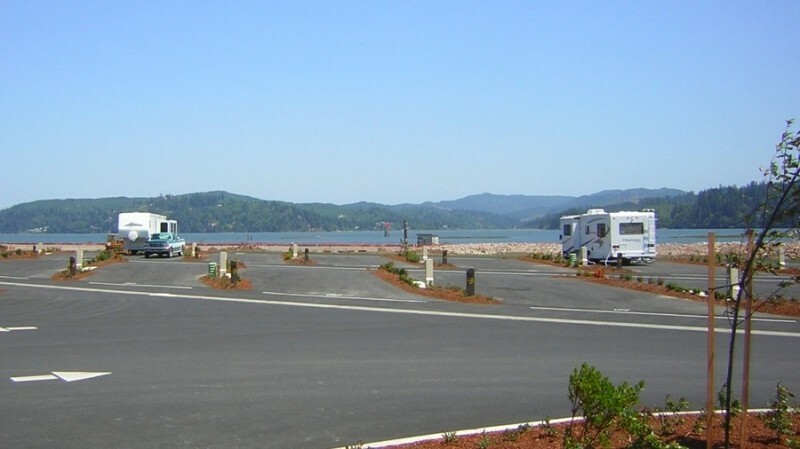 Fee for dry parking gives you access to the RV Park Laundry and shower facilities, water fill, sewer dump station and WiFi. Gravel area next to the RV Park. No hook-ups. Reservations are accepted. For rates, availability, and to book special packages, please call 800-953-4800, ext. 3. 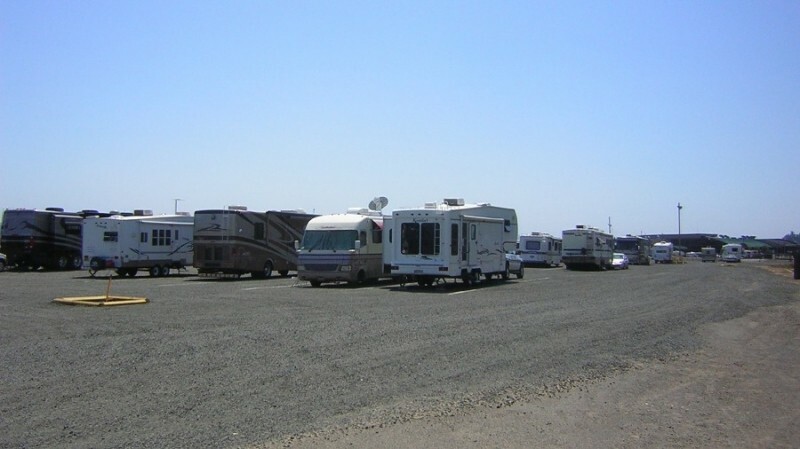 There are 102 level sites, including 60-68-foot pull-throughs, with full hookups and cable TV. Rates are based on the time of the year and what type of site you get. In September, a basic 40' back-in site with no view of the Bay was $35 a night. In September, 60' or 62' pull-thru site without a Bay view was $45 a night. In September, a 62' pull-thru site with a view of the Bay was $55 a night.